A mysterious music box has appeared at the library and Elephant Umbrella needs your help to open it. 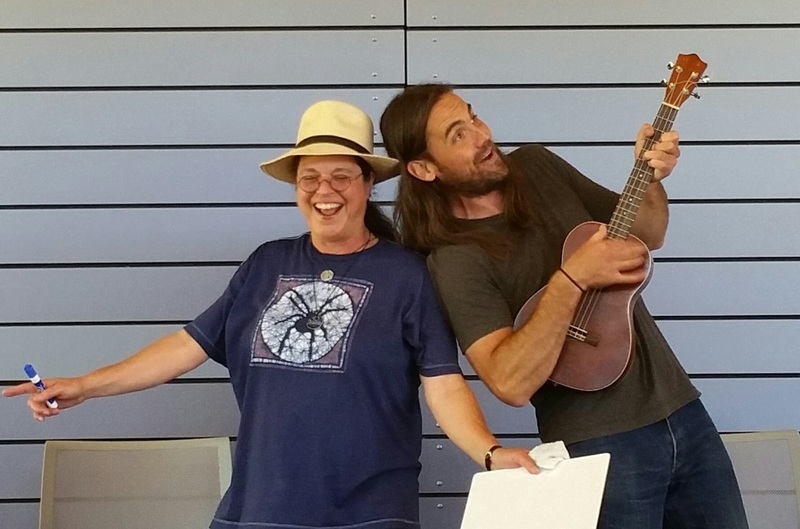 Join Mike Gervais and Lisa Taylor in a musical mystery adventure to find The Magic Sound that will unlock the box. Take an imaginary journey around the world and even go back in time to explore different instruments and their sounds. We’ll sing, dance and read clues to solve the mystery. We’ll play woodwinds, brass, strings, and percussion to discover how instruments make sound and find some hidden lessons in science, technology, reading, engineering, arts and math. Come along, there’s room for everyone! Get your backpack and your bedroll, Elephant Umbrella is going camping! Join Mike Gervais and Lisa Taylor as they pack up the station wagon and head to the mountains for a fun, musical camping adventure. Here’s your chance to help write a silly song while roasting imaginary marshmallows. We’ll sing classic camp songs, dance around and tell stories by a magical campfire. Come along, there’s room for everyone! Get your work boots and grab your hardhat – Elephant Umbrella is going to work. Join Mike Gervais and Lisa Taylor in a magical, musical adventure across the country. We’ll sing and dance around as we explore railroads, bridges, dams, skyscrapers and factories -- any place where people and machines work. Along the way, we’ll find hidden lessons in science, technology, reading, engineering, arts and math. Come along, there’s room for everyone! Come take a musical journey down a northwest river with Elephant Umbrella. Environmental edu-tainers Lisa Taylor and Mike Gervais take us on a magical boat ride to explore the natural and man-made wonders that are found along local streams, rivers and brooks. Sing songs and dance around as we discover the many things that call a waterway home. As we paddle along we will see how a stream can connect science, technology, reading, engineering, arts and math in some fun and amazing ways. Grab some hot cocoa and cozy up to the fire with Elephant Umbrella. Mike Gervais and Lisa Taylor celebrate the season with a sing-along show filled with fall and winter tunes. This fun, interactive program is great for the whole family. We will sing, dance and find the hidden lessons in science, technology, reading, engineering, art and math in our favorite songs of the season. Leave feeling bright and cheery even though it’s dark and dreary outside. I just had them at Black Diamond (library), and ...their show together was absolutely fantastic! Kids and adults both had a great time. ..Turns out it is part comedy... music and science all wrapped into one super fun show. I will definitely be booking them again when the opportunity arises! Elephant Umbrella is for anyone who loves singing with a group of friends. 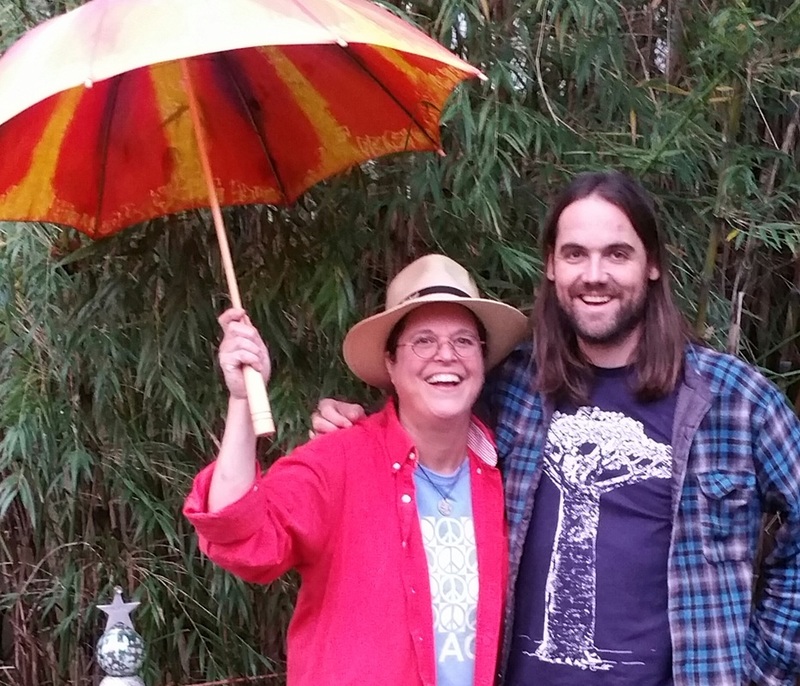 Environmental edu-tainers Lisa Taylor and Mikie Mike Gervais have a songbag full of folk tunes, campfire oldies and original songs that kids and adults love to sing. Join in, there’s room for everyone!